Fiesta medals for 2017! Order your Fiesta medals now! BBB A+ rated! Fiesta medals for 2017! It’s that time again! And Celebrate Excellence is San Antonio’s leader in collectible Fiesta medals! No die charges! No artwork fees! Small minimums – only 100 medals! Let us help you design your medals and be proud to trade or sell them! 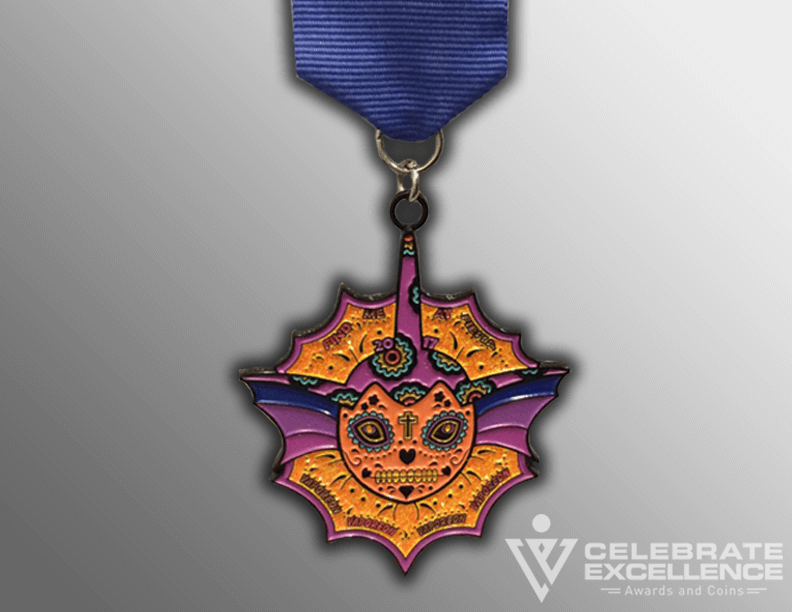 Since 1993, Celebrate Excellence has been the highest rated Fiesta medal company in San Antonio. We use the same high quality metals and techniques used in making military challenge coins and law enforcement badges to create unique, top quality Fiesta medals. Our production schedule is filling up fast – so don’t delay! Call today and speak with a Fiesta medal expert. 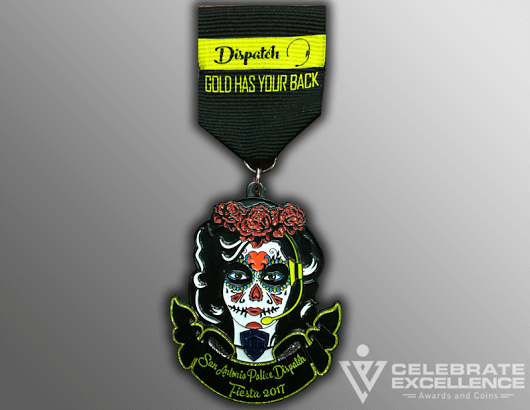 We will help you market your brand, promote your message or raise money for your organization using Fiesta medals. Fiesta offers a unique opportunity for San Antonio organizations and businesses to raise awareness in the community and participate in our very own “Party with a Purpose” — Fiesta! We can still take orders and deliver a month before Fiesta begins. This gives you time to sell or trade your medals. Celebrate Excellence has created award-winning Fiesta medals for such organizations as the San Antonio Spurs, Rampage, Stars, QVC, Marriott, Wing Stop, the Chief of Police, the Bexar County Sheriff and more! Every year, our medals take top honors in their categories in the San Antonio Express News Fiesta medal contest. Celebrate Excellence is the city’s only BBB A+ rated Fiesta medal supplier. With an All A rating from Angie’s List and a 5 star rating from Google – we deliver the best! 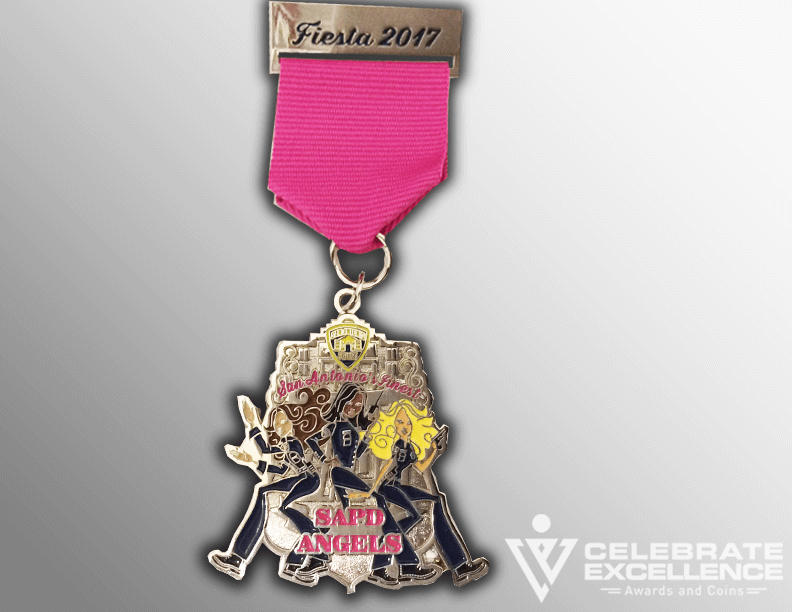 Call us today at 979-6706 to discuss creating your Fiesta medals for 2017! Or click HERE to request a free quote. We also have a 4-part YouTube series on using Fiesta medals to Market Your Brand, Promote Your Message, Make Memories and Raise Money. Check these out today!